Vessel - blade, Nippers and hand tools distributor in USA | DAS Services, Inc.
With over 80 years of manufacturing experience in Japan, VESSEL used their technological expertise to design ergonomic hand-fitting tools for optimum comfort. VESSEL's philosophy is that if a tool is designed to feel comfortable in the operators' hands, it allows the user to be more productive demonstrating their maximum ability. Overall, VESSEL has committed to produce the finest tools for your hands from a human engineering point of view. Effective, secure fastening of screws is indispensable in improved work efficiency and increased reliability in mass production assembly factories. Good bits play a vital role in improved product quality and cost reduction. They offer a wide range of high quality industrial bits with the quickest possible delivery. The accurately machined tip configuration of VESSEL bits will match any screw heads perfectly like a glove. They will help prevent cam out or stripping of the screw heads. VESSEL's materials and heat treatment methods are carefully selected for the greatest durability. They offer a wide selection of products and outstanding Customer Service to help you select and use the appropriate VESSEL bits. They assure reliability with their computer-assisted product control. VESSEL bits can be an integral part of your fastening application system. VESSEL knows that the quality of their bits first depends of the correct selection of materials. For this reason, they have developed a variety of bit materials to meet diverse needs. VESSEL integrates elements such as Carbon, Silicon, Magnesium, Nickel, Chrome, Molybdenum and Vanadium into their steels. This draws forth the bits' inherent characteristics due to VESSEL's long experience with heat treatment processes. Therefore, the tips of their highly durable bits are wear and shock resistant, as well as functionally well designed. 2. GT-NR series: Vertically mountable, round body nippers with rotating endcap to allow change of position of air inlet port. 3. GT-NS series: Has two air inlet ports and mounting holes on five sides with rotating endcap and range of 9 sizes to choose from. 4. GT-N series: Hand help air nipper with comfortable rubber grip, knurled housing and eight sizes to choose from. 1. GT-NY series- Has a built in blade opening adjuster and lock. Vertically mounted to occupy less space, this series of Sliding Nippers come in Push-Pull slide stroke models. 2. GT-NT series- Suitable for mounting on End of Arm tools(EOAT). Set in light-weight design with adjustable blade opening. Comes in both Push and Pull type slide styles. 3. GT-NY10s Ninja- Patented design that boasts of high accuracy, speed and consistency. The NY10s series comes is light and handy with adjustable slide strokes and opening. Vessel Special Nippers feature the GT-NH heated nipper set and custom heated nippers with temperature control and speed control valves. The Special nippers are suitable for cutting and degating acrylics and brittle plastics where traditional degating tools tend to fail. 1. Plastic- Soft plastic materials such as PVC, PE, Polyester etc. and Hard plastic materials such as Acryl, PP, Nylon, PC and styrol. 2. Steel materials such as copper wire and non-heat treated steel wire. The cutting capacity varies depending on temperature of the material. 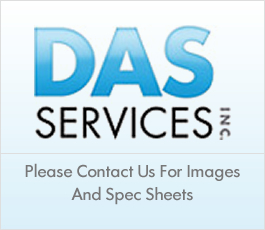 Das Services Inc. is your one stop shop for all kinds of degating tools from the world renowed company "Vessel". Features include 100% pneumatic control with no additional power source, black anodized aluminium casing, guarded cutting area, manual fitting of parts, input air filter and various styles. Vessel End of Arm Tooling components are optimal for mounting needs at almost all locations and angles. Vessel EOAT are suitable for nippers, grippers, cylinders, vacuum cups etc. 1. Thermocutters and replacement blades- Feature electrically heated blades for cutting most thermo-plastic surfaces. Comes with optional robotic arm for batch function, adjustable temperature and spring type on-off switch for added safety. 2. Micro grinders- Features highly durable, light weight, with anodized body and low heat/ low noise output. These micro grinders perform quality grinding even at high RPM's. 3. Deburring tools and replacement blades- made from solid aluminum, anodized body, these deburring tools are light-weight and feature interchangeable handles. DAS Services Inc. offers a comprehensive range of hand tools from Vessel- the premium Japanese brand in hand tools for all your tooling needs. Our range of hand tools include hand nippers, heavy duty knives, impact drivers, screw drivers etc.